Jeremy Jackson responds to a question about industries that can contribute to climate change. Jeremy explains how non-scientists can better understand GMOs. Jeremy answers a question on demanding action from Washington. Greenpeace held an Access Live event featuring eminent ecologist and author Jeremy B.C. Jackson. 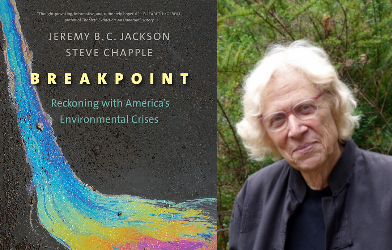 He spoke with Greenpeace Oceans Campaigner John Hocevar about Jackson’s new book Breakpoint: Reckoning with America’s Environmental Crises and their investigations of ocean dead zones, wetland destruction, groundwater contamination and how climate change is impacting the lives of the people they met along the way.